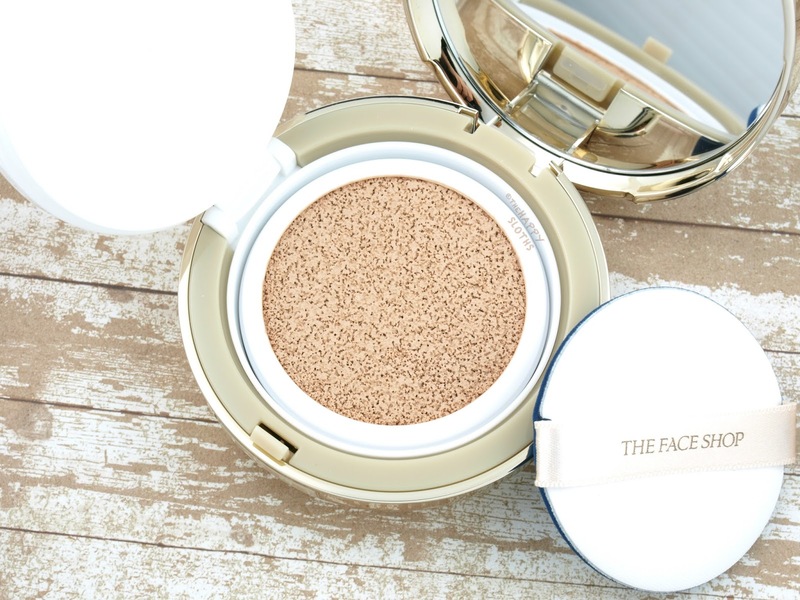 The Miracle Finish CC Intense Cover Cushion from THE FACE SHOP comes in a very luxurious shiny gold compact. The lid has a pearly white inlay and it's stamped with a metallic emblem logo. 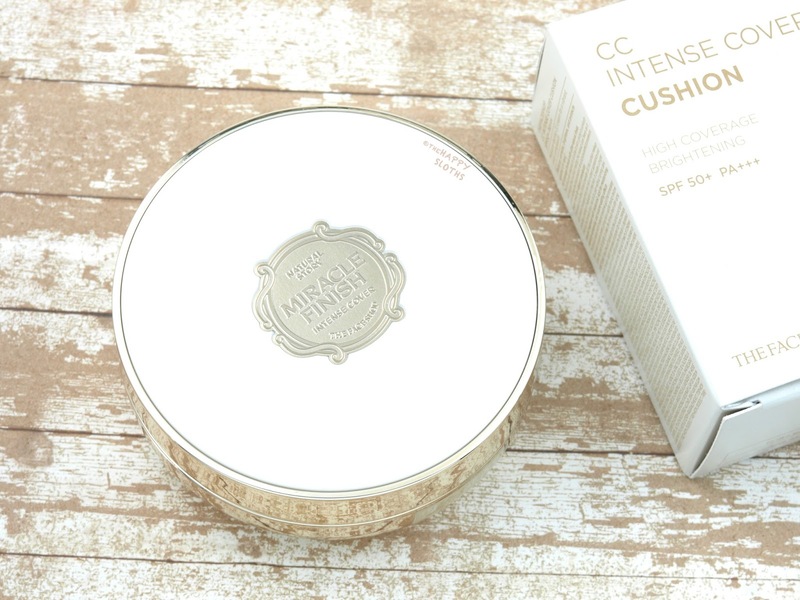 Inside you have a pretty standard cushion foundation design. The top layer holds a cushion puff applicator and the bottom holds the foundation-drenched sponge cushion. To use, simply press the applicator into the sponge to pick up the desired amount of foundation. THE FACE SHOP Miracle Finish CC Intense Cover Cushion Foundation | "V201 Apricot Beige"
Made with hyaluronic acid, rose oil, and lavender oil, this is an SPF50+ liquid foundation that promises an intense coverage and a brightening, moisturizing wear. In terms of coverage, I wasn't all that wowed. Given a name like "Intense Cover", I was expecting a very high coverage but this foundation is medium to high at best. 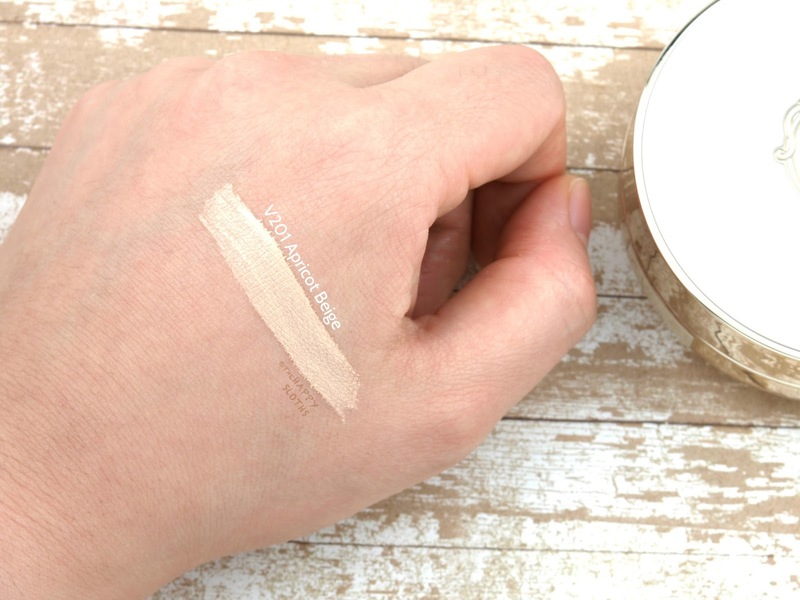 It's buildable to a fairly opaque coverage but you definitely will have to do a few layers. With that said, the foundation is smoothing and brightening. It does a good job at masking pores and blurring fine lines and the finish felt nice and hydrating. The foundation has a natural, non-matte finish so you may want to top it with some powder. In terms of wear, this one is just okay. It didn't get super greasy or icky at the end of the day but there were definitely some creasing and fading. I find that the foundation doesn't cling very well to the skin and instead sits atop it. This is great for those with drier skin but for someone like me who has pretty darn oily skin, it greatly compromises wear. The shade I have swatched here is "V201 Apricot Beige". This is a warm light beige that's somewhere between NC15 to NC20. Overall, this is a good cushion foundation but it's not my favorite. The coverage isn't as high as I would have liked and the wear isn't long-lasting enough for my oily skin. However, if you struggle with dry skin or fine lines, this could work great! 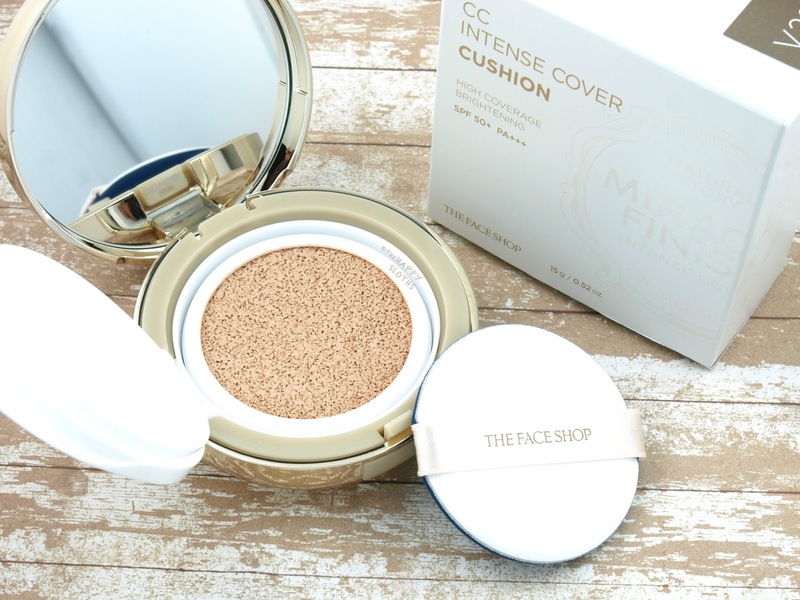 THE FACE SHOP Miracle Finish CC Intense Cover Cushion Foundation is available April 2017 online and in stores at THE FACE SHOP boutiques.